IQAC and VIBE has jointly organized an interactive workshop on ‘Emotional and Behavioural Enhancement’ on Wednesday, 3rd August, 2016 in Seminar Hall, VIVA College (Old Campus) at 11:00 am for the inauguration of VIBE. VIBE organizes lectures and workshops for emotional and behavioural enhancement of staff and students. The series of this academic year was inaugurated by the chief guest of the day, Dr. H. L. Kaila, Coordinator Mr. N. Kutty and vice- Principal Ms. PrajaktaParanjape. Mr. N. Kutty, who was the chief organizer of the program and the founder of VIBE, elaborated on need and purpose of holding such lecture series under the platform of VIBE. Dr. H.L. Kaila – an eminent psychologist and Ex-Head, Department of Psychology, S.N.D.T. 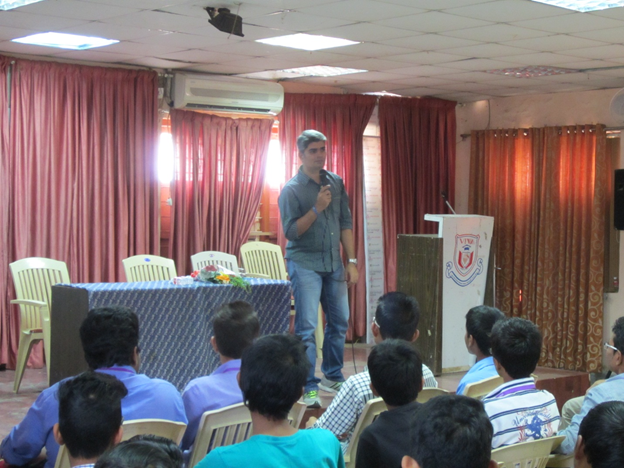 University addressed the professors of VIVA College on how important it is to develop oneself from within. He stressed that in order to enhance one’s behaviour, it is necessary to filter and project one’s emotions very carefully. He mentioned behaviour as ‘public property’ and emotions as ‘Private property’. Having said so, he threw light on how to take care of one’s emotional wellbeing and making it better. As he went down the memory lane, he shared few of his experiences from the teaching field and stated that students remember professors’ kind words and actions even after many years. Dr. Kaila made the two hours session very beneficial and at the same time light, too, with hos unique style of sprinkling humor throughout. 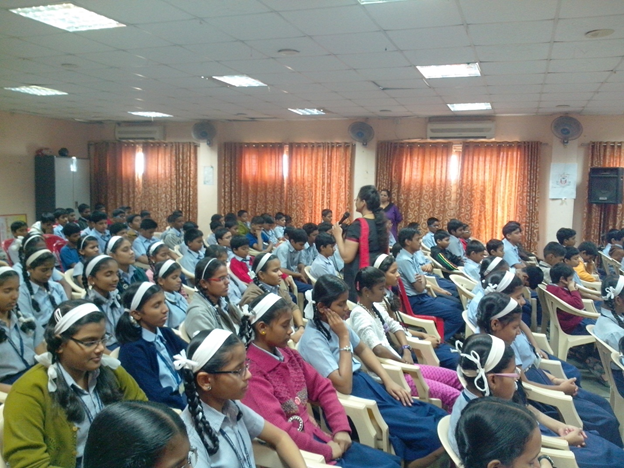 The program was wound up by a thanking note by Vice Principal Prof. Ms. PrajaktaParanjape. The teachers gave a very positive and constructive feedback and wanted more such talks to happen in future. We, at VIVA College provide an array of educational specializations. However, when students go to the outside world and apply what they have learnt, with conceptual clarity, an enriched personality is requirement of the day. Keeping the same in mind, the management took special efforts and initiative so that ‘VIVA Institute of Behaviour Enhancement – VIBE’ could be founded. The inaugural function tookplaceon13th December, 2014, where chief guests Dr. Atish Taukari, Ph.D. (I.I.T.) addressed the staff and the students of the college on the topic ‘Mental Integrity and Work Efficiency’. He discussed how having mental peace and integrity influences our efficiency at work. Later on throughout the second half of the year, various lectures were organized for school, Jr. College, and Degree College Students. Topics covered areas influencing social, psychological and moral development. Experts from mental health profession were invited to address the students. Students gave a positive feedback about this initiative. Their feedback mainly included the appreciation towards the organization for giving them the opportunity to interact with experts directly. Many mentioned that they were experiencing such an initiative from the management for the first time in their academic life. In the academic year 2014-15, altogether 12 interactive sessions were arranged for the benefit of the students and the staff. 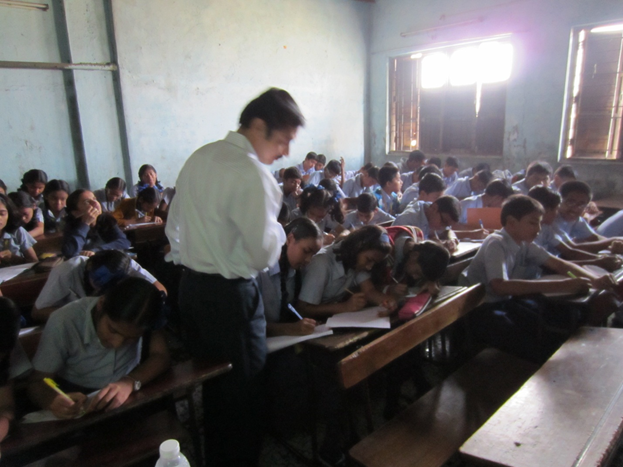 The good work continued in the next academic year 2015-16 from the first half of the year, itself. The inaugural speech was given by Swami Nirbbhayananda, Chinmaya Mission on 30th July, 2016 on the topic ‘Importance of Peace’. Then followed a series of 12 interactive sessions organized for students of school, Jr. College and Degree College. Eminent speaker addressed them on various topics directly and indirectly influencing their growth. The feedback for all the programs was positive and the beneficiaries were happy to have applicable techniques which are improving their life day-by-day. VIBE further thrives to arrange programs on similar grounds for staff and parents of the students.